I was so very heartened by the popularity of my Diamond Jubilee Cupcakes that I thought that I would adapt an old favourite to give it a patriotic makeover so here is my Diamond Jubilee Pavlova! Chopped bananas hide in the cream and compliment the fresh regal fruits above. 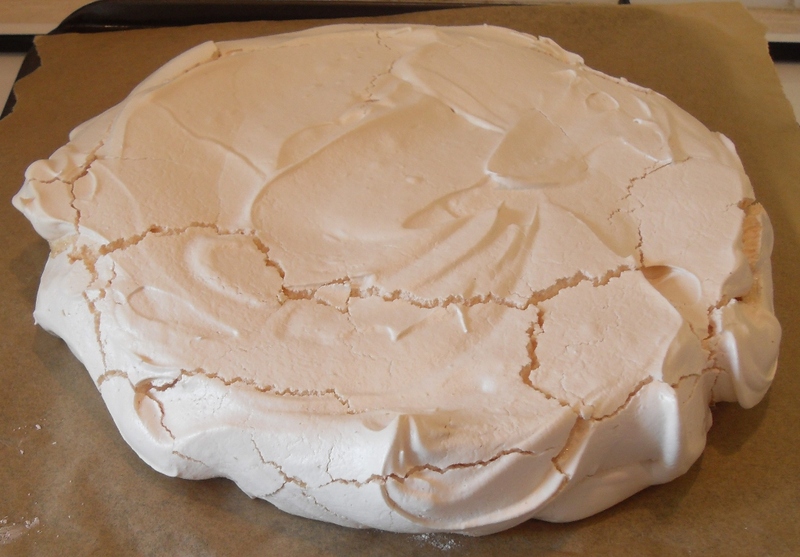 I have adapted a Pavlova recipe from The Dairy Book of Family Cookery which was produced to celebrate the anniversary of the Milk Marketing Board. The foreward in the book was written by HRH The Duchess of Kent so I feel this recipe was destined to be royal. After whisking the egg whites and sugar and adding the vanilla extract and vinigar the meringue is spread out on the baking paper to form a circle. Cook the meringue until firm to the touch. This Diamond Jubilee Pavlova won’t hang around for long! This Pavlova hides a secret banana element in the cream whilst the strawberries, raspberries and blueberries take centre stage to form the Union Jack. Draw a 23cm (9 inch) circle on non-stick paper and place on a baking sheet. Whisk the egg whites with the salt until very stiff, then gradually whisk in the sugar. Beat until it forms stiff peaks again. Fold in the vanilla extract and vinegar. 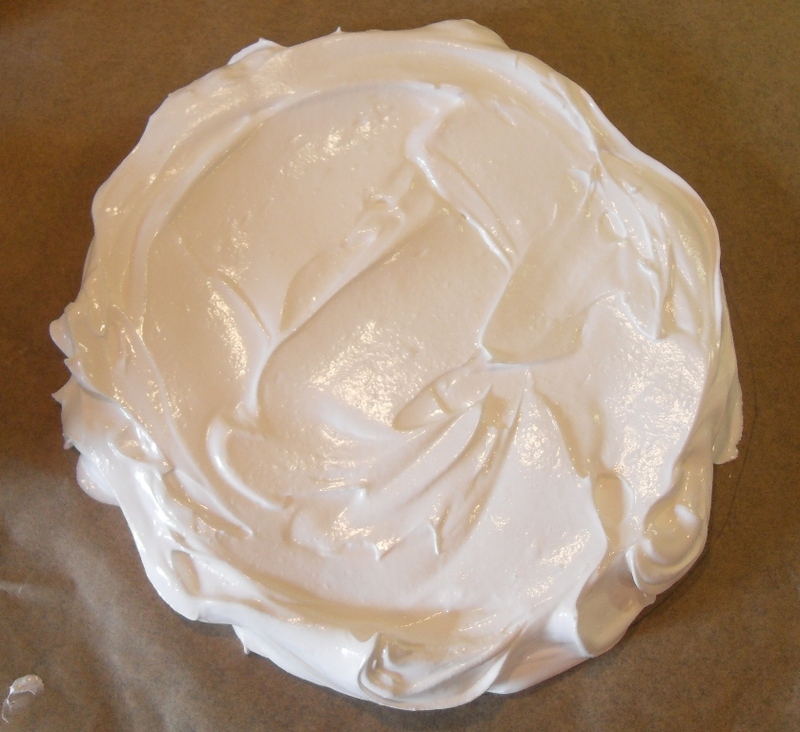 Spread the meringue mixture over the circle and bake in the oven at 140°C for about 1 hour until firm. Then carefully remove the paper and place the Pavlova on a plate. Whip the fresh cream until stiff then fold in the chopped banana and pile on to the meringue and decorate with the fruit to form a Union Jack. You might also like my Rhubarb & Blueberry Tarte Tatin with it’s Union Jack theme! 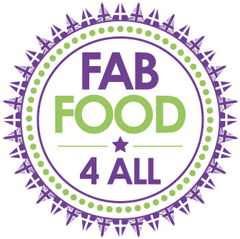 If you try this Diamond Jubilee Pavlova do leave a comment and let me know what you though! What a great looking Pavlova, looks really delicious and mouth watering good with the mixed berries on top. Will have to make a few different ones for the rugby world cup! 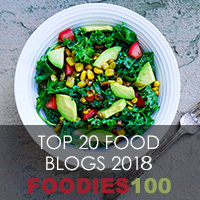 Meringue AND Berries – what’s not to like!